Photo courtesy of Dwight Sharpe. 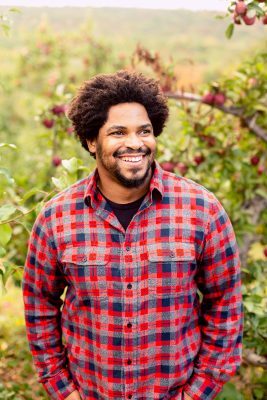 The Neag School of Education at UConn announces the inaugural recipient of the 2018 Rogers Educational Innovation Fund as Dwight Sharpe, an eighth-grade mathematics teacher at Woodrow Wilson Middle School in Middletown, Conn. The Rogers Educational Innovation Fund, designated by Neag School of Education Professor Emeritus Vincent Rogers, provides a $5,000 award available annually in support of innovative projects carried out by Connecticut teachers at the elementary or middle-school levels. This gift is intended to support and expand the innovative, collaborative work of Connecticut’s classroom teachers and the Neag School of Education. Sharpe will be formally recognized at the 2018 Neag School Alumni Awards Celebration, taking place on the Storrs campus next month. Read more about the Rogers Fund at rogersfund.uconn.edu.